YOGRAJ SWAMI NANDLAL JI was born in Gurgari Mohalla, Zaina Kadal (Srinagar) into a prosperous Koul family nicknamed as Kothdars. 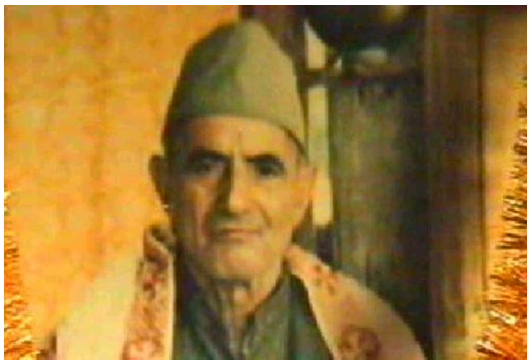 His grandfather Pandit Sehza Kaul had two sons Ram Kaul and Hara Kaul. 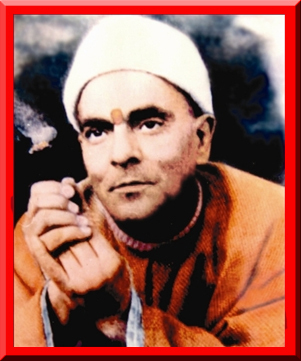 Swami Ji was son of Pandit Hara Kaul born on an auspicious day, Falgun Shukla Paksh Ashtami (Taila Ashtami), the exact year of birth not confirmed. 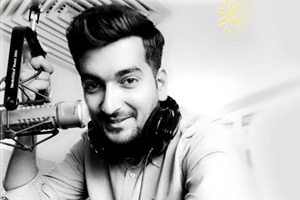 It is said that his childhood at his home was not comfortable as his mother had passed away when he was quite young so he left his home at age 14 while he was in class IX. His step-mother didn’t treat him well and it was one of the reasons that he left home at this tender age. In fact he was not destined to be an ordinary householder. He had come for the accomplishment of a larger mission which he did by achieving the highest echelons of higher life. Thus Swami Ji detached himself at an early age from the bondages of the household life to seek a higher purpose for himself. 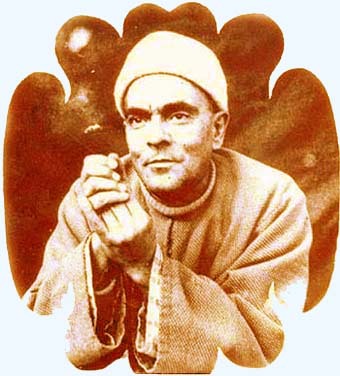 Having sought refuge in the feet of many awakened saints and savants of that time young Swami Ji remained on move from place to place in search of the ultimate path for himself till one day around 1932-33 he reached Zooni-Pora, a village near Bomai (Sopore) on way to Kupwara in Kashmir. There was a well established Ashram complex in Zooni-Pora where saints and Bhabas were regular visitors from far and near. It was this Ashram which was destined to be the ultimate destination for young Nand Lal Ji to get associated with lots of saints and sadhus and among them his guru Bhaba Swami Lal Ji, a highly accomplished yogi from outside Kashmir. The Ashram kept especially brimming with activities of devotees because it fell on way to Maa Sharda, a reputed temple complex situated in Shardi near Muzafferabad across Titwal (Gurez) presently in Pakistan occupied Kashmir (Pok). The devotees on way to Sharda-Mayee, as it was popularly called, crossed Zooni-Pora Ashram and stayed there for a couple of days or more for the facilities available and sought blessings of the Dhooni-Mayee. Before Swami Ji was initiated into the ascetic order by his holiness Swami Lal Ji he had a long stay in this Ashram in the service of numerous saints present there and by keeping attendance of many learned souls he adhered to the high disciplined saintly life. Thus Swami Ji received the choicest education of the saint order. It included the study of religious scriptures and especially the practice of Yoga. Thus Zooni-Pora Ashram proved to be the basic school of learning for Swami Ji and also a place where he had the occasion to be in the feet of his Guru. The Ashram in those days (around 1932-40) was headed by Pandit Shiv Jee Shah who managed all the affairs of the Ashram along with a huge property attached to it. A regular LANGAR (cooking arrangement) to cater hundreds of visitors daily was arranged and devotees from far and near came there for service at the Ashram. All food-grains, vegetables and fruit consumed there were the product of the farmland attached to it tended by the farmers nearby and as such there was no dearth of anything and abundance prevailed. Unfortunately this abundance, peace and spiritual atmosphere didn’t last longer at this Ashram. The whole complex was razed to ground in a great fire put to it in 1947 by miscreants during Pakistani Aggression on Kashmir and Partition. The complex was almost deserted already as all Pandits in the area were trying to save their lives by taking refuge in safer places nearer to Srinagar, the capital of Kashmir. This area, Sopore, Baramulla, Handwara, Kupwara, Uri and Lolab was the worst affected during the 1947 turmoil as thousands of Hindus and Sikhs were brutally killed and property looted and gutted so it took a long time for the remaining few to reestablish themselves at their places after Indian troops pushed back the raiders and restored normalcy in the areas. And among the tragedies that befell Kashmir in 1947 in general and Kashmir Pandits in particular was their access to their beloved Sharda- Mayee temple complex which incidentally fell across the Line of Control (Loc) in the area controlled by Pakistan. While Swami Ji was in Zooni-Pora Ashram being probably the youngest, he was occasionally sent for some petty errands to village Bomai just a kilometer away, which comprised of a good number of (about 60-70) Pandit families. Sh. 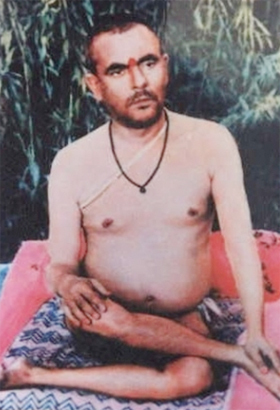 Jia Lal Dass, a reputed person of village Bomai was especially attached to young Swami Ji for his attractive yogic appearance and cheerful aspect. One day Swami Ji expressed his desire to Pandit Dass of staying in his house for pursuing Sadhna there. Being scared to shoulder such a sensitive responsibility SH JIA LAL JI talked about it in his family and Smt Radha Mali his mother and a saintly lady immediately consented to it and offered to provide all requirements of the Swami herself with full devotion and sanctity. Thus Swami Ji was offered to stay in Deewan-Khan the first floor of a wooden structure outside the main house of Pandit Dass with a separate entry approach quite suitable for the requirements of Swami Ji. It was quite a large joint family of about fifty members and everyone was excited to have Swami Ji in their house so they extended all possible service to Swami Ji but the main contribution was of the head lady Smt. 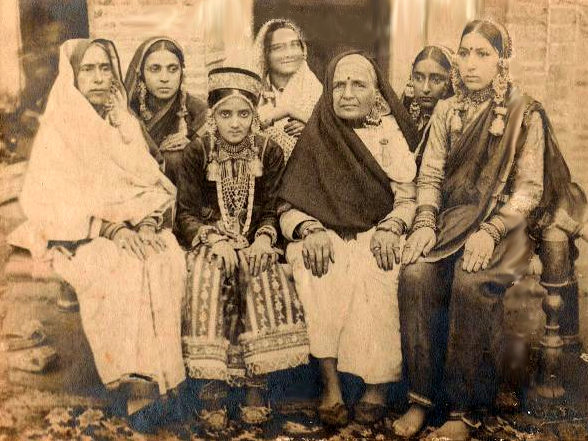 Radha Mali and her daughter-in-law Smt Umawati wife of Pandit Jia Lal Dass whose service and devotion in the form of serving foods and other beverages with all sanctity to Swami Ji and his numberless visitors at all odd hours for years together is unparalleled. Swami Ji stayed in this Deewan-Khan for about 8-10 years before he shifted to the Kutiya in Gowri-Pora, Bomai in the apple orchard of the same Dass family. The period of Swami Ji’s stay in Zooni-Pora Ashram and later in the Deewan-Khan was the formative period of his holy life. It was quite hectic for Swami Ji as he remained almost all the time absorbed in Yog-Kriya besides being on move meeting saints and Sadhus and visiting various places of religious importance and solitude. His visits to remote interiors of unknown dense forests and staying there for long periods in association with highly awakened souls have also been reported. Swami Ji was also all these years a regular visitor to Sharda-Mayee. The visits there involved a long travel on foot and later on horses through Kupwara and Lolab Valley and as such he along with his associates stayed in the houses of Pandits in villages in that area. This association created a vast field of devotees and admirers of Swami Ji in the area and also caused certain events that had a deep impact on the holy life. The first was the formal initiation of Swami Ji to saintly order by his holiness Swami Lal Ji. He though a non-Kashmiri saint was also a regular visitor to Sharda Temple and stayed with Pandits there. He too had a large number of devotees in the area and when the occasion came for the formal initiation of Swami Ji his Guru himself selected a place for him in village Sogam in the house of one Shridhar Bhat to perform his basic Kriya. And later it is said that on completion of his first stage, Swami Lal Ji commented that young Nandlal was able to do in a few days what he himself had been able to do in several months. Immediately the popularity of Swami Ji spread far and wide while he settled at the Deewan-Khan in Bomai. The atmosphere was especially charged with high sanctity when Swami Lal Ji was there in his association. Meanwhile Swami Ji visited a learned Pandit in Sopore Town Shri Aftab Joo Kher for academic guidance and learning of essential religious scriptures. His thirst for knowledge was so great that he had mastered almost all authentic scriptures and was consequently regarded as a learned scholar and an authentic teacher. During those days in Sopore a galaxy of saints and learned Pandits assembled occasionally in a temple complex for discussions and discourses regarding Hindu scriptures in which Swami Ji and his Guru Swami Lal Ji also participated. It is said that Swami Ji especially took interest in the interpretations of the famous Wakhs of Lal-Ded, the famous Yogini and mystic poet-saint of Kashmir. Since the Lalla-Wakhs are the most comprehensive source of instruction in the field of YOGA so Swami Ji was especially interested in them. He would usually refer the WAKHS of Lalleshuri (Lalla Wakhs) in his discourses as an authentic treatise and explain the content very forcefully. Undoubtedly he excelled in the field of Yoga far above most of other Kashmir saints. Very few saints of Kashmir including the highly awakened ones practiced Yoga path for their uplift in the spiritual arena. Swami Ji achieved the highest stages of self-realization through Yoga under the guidance of his Guru. He has won the title YOGIRAJ for the extraordinary capabilities he acquired in the field of YOGA. It was felt that the available accommodation in the Deewan-Khan was insufficient because of heavy influx of devotees but the problem was immediately addressed and Swami Ji selected a lush green beautiful spot away from the hustle and bustle of the village near Gowri-Pora village about a kilometer away from Bomai beside the apple orchard owned by same DASS family for an Ashram and in due course a small Ashram with a couple of rooms in the ground and a hall, a kitchen, a TAPASYA room and a balcony facing east in the first floor was raised under the directions of Swami Ji. All essentials were provided and Swami Ji took personal pains to give the Kutiya, as it was later called, the shape of a traditional Indian saint’s cottage. A small rivulet was directed in the compound and a small waterfall made of it beside a small rectangular raised space which was used by Swami Ji for Aasana during days before a small audience of his devotees. The compound was walled with dry willow twigs and a small entry gate provided to keep away stray animals and cattle. The visits of devotees went on increasing and Swami Ji listened to every one patiently. Besides the people of Bomai and surrounding villages, devotees from far off places as far as Srinagar, Budgam, Anantnag and Shopian came to meet Swami Ji and share his spiritual experiences and ask for his blessings. The earliest devotees worth the name were Pandit Shridhar Joo Dhar Ex. Conservator of forests who was himself a highly awakened saint, Sh Jagan Nath Sumbly Ex. Deputy Commissioner and Sh Soom Nath Halwai among others. Late Mahatma Vibhishan Ji came here in the same Kutiya in the service of Swami Ji and it was here after very hectic service and Sadhna that Swami Ji initiated him in the ascetic order. He was perhaps the first and foremost disciple initiated by him and was naturally very beloved of Swami Ji. Vibhishan Ji was basically from Baramulla and the name was given to him by Swami Ji himself. The diverse aspects of the personality of Swami Ji seemed to exhibit here in this Kutiya more extensively. He had acquired a deep knowledge of Ayurveda and various medicinal herbs and their use in different ailments for their cure. Swami Ji used this skill in curing various people of many dangerous diseases miraculously in the Kutiya. Moreover, Swami Ji had a deep taste for classical Sufiana music and so here in this Kutiya under the shade of the CHINAR trees Swami Ji occasionally played on a string-instrument called MadhaM very sweet Sufiana Ragas and the holy Mehfil put to trance many of his devotees for hours. It is essential to mention here that Swami Ji was a strict disciplinarian and didn’t allow any deviation from the moral and ethical standards whatsoever and the traditional codes of sainthood at the hands of anyone present. The Kutiya was the abode of Swami Ji for about twenty years though he used to be regularly on move visiting important shrines, places and persons. His sojourns included the deep forests where he stayed at unknown places for long periods probably to follow some special Sadhna on the instance of his Guru. As already stated Swami Ji was a fervent devotee of Sharda-Mayee the celebrated temple complex in present POK. He visited there frequently on foot or horseback and stayed there for days together performing austerities in the lap of the Mother Goddess. Swami Ji used to be the guest of some of his devotee there who happened to be there in connection with some business or employment. Incidentally, Swami Ji happened to be in Shardi (Sharda Temple) in October 1947 when tribal raiders invaded and entered Kashmir and went on barbarous killing and looting spree of non-Muslims of the area. Swami Ji marched towards Bomai with some of his devotees facing encounters with the raiders. They couldn’t face the miraculous power of his holiness and the guns aimed at him didn’t work and they bowed before his holiness before fleeing. Meanwhile the Pandits in Bomai were scared beyond measure and preparing for every eventuality. When Swami Ji reached there, he instructed them to be contented and be at their places. The miracle that ensued was none of the raiders entered Bomai though the Pandits there were a good number and all prosperous. It is said that some confusion erupted in their ranks and they didn’t venture entering there till they were hounded back by Indian Army. Swami Ji used to practice regularly various Yogic exercises by combining postures and breath-restraint (Pranayama) vigorously along with Dhoti-Kriya for purification. Deep studies were the routine of Swami Ji and he used to be absorbed in serious readings of scriptures. He was in the habit of smoking Charas and tobacco all his life incessantly from his Chillam otherwise he maintained very clean habits and the Kutiya exhibited a flavour of calm and pure atmosphere. Personally he looked after the cleanliness of the place though there used to be some devotees invariably present to do all the jobs. During summers and suitable climates Swami Ji laid his Aasana on an elevated space in the compound beside the small cascade facing east and the devotees present sat in front of him and listened to his discourses. All visitors were welcomed by him warmly and served with a cup of Kehva, a traditional Kashmiri tea without milk, taken in bronze cups held with a towel. Swami Ji also took a cup but after taking a few sips he offered it to some of his devotee present there as a Prasad. The evenings were especially quite attractive as there was a collective recital of certain Bhajans or Leelas in which Swami Ji also participated. The scene presented such a beautiful environment that the devotees repeatedly attended the evening Puja. Regarding food Swami Ji was a strict vegetarian all his life and took very simple Satvik food and avoided strictly onions, garlic, tomatoes and some leafy vegetables. The preferable foods included Plain Rice; Kashmiri Saag, Moong Dal and Lotus Stem (Nadru). Swami Ji observed fast on many days especially Ashtami, Purnima, Amawasia, Ekadashi and other auspicious days. Swami Ji himself prepared many kinds of pickles and medicinal preparations in small glass bottles which kept hanging outside on the verandah of the Kutiya in open sun and he probably used them in curing patients who came to him. As the field of devotees expanded the need of more ashrams in the name of Swami Ji in other areas too was felt. Consequently two Ashrams one at Tikkar (Kupwara) and the other at Hushoora village in Budgam District came up. Both Ashrams were planned and the venues selected by Swami Ji himself. The Tikkar (Kupwara) Ashram was especially planned tastefully and Swami Ji preferred to be there for longer periods in his later life. The Hushoora Ashram was constructed before Tikkar Ashram and was especially raised on the instance of the devotees of that area. Swami Ji stayed there for many days and performed many HAWANS on auspicious occasions. Devotees at this Ashram showed particular enthusiasm and devotion for Swami Ji and the Ashram was always full of devotees and renovations here were carried on endlessly. Both Swami Ji and his Guru Swami Lal Ji were already acquainted with Village Tikkar as it fell on way to their favourite destination Sharda Mayee. Their frequent visits had made almost all the Pandits familiar to them and most of them their devotees and admirers. Swami Ji made plans for an Ashram at a sacred spot and without any particular efforts the foundation was laid in 1957. His holiness was in those days mainly placed in Gowri-Pora (Bomai) in the Kutiya among fine environs and beautiful location and any thought of a change was unthinkable as the devotion and love that Swami Ji received here was unprecedented. Swami Ji stayed in Bomai for not less than 25-27 years but given the purpose to be nearer to his devotees of Tikkar area Swami Ji sought the change and Tikkar Ashram was inaugurated with great fanfare. Besides the main temple a beautiful small temple was constructed on the adjacent hilltop with about a hundred steps made out of stone boulders as an uphill approach. Swami Ji loved to perform his routine Sadhna in the hilltop temple. The rush of devotees in Tikkar Ashram was significantly much more than other places as the field of influence had increased tremendously than before. Very influential people of the area and far away were regular visitors in this Ashram and strangely whoever came to seek blessings once was attached for life. This author put this question to one fervent devotee of Swami Ji who had spent many hours in the holy company of Swami Ji, ‘What aspect of the personality of Swami Ji fixed a devotee for life?’ In reply he said, ‘Swami Ji was a living incarnation of Lord Shiva. How a person would not!’ Here it would be interesting for the reader to know something about the experiences of some eminent devotees of Swami Ji. Shri Shridhar Joo Dhar the then Conservator of Forests visited Swami Ji occasionally. He stayed and enjoyed the discourses of Swami Ji and especially wanted to see Swami Ji comfortable. He was himself an established saint and a fervent devotee of Bhagwan Gopi Nath Ji the eminent saint of Srinagar. Shri Dhar was often seen with some saint or the other in spite of his high official position. He was a great admirer of the advancement of Swami Ji in Yoga and academics both and often got some problems fixed by Swami Ji. Justice Janki Nath Bhat was a High Court Judge and held many prestigious positions in J&K and outside was a devotee of Swami Ji and visited Tikkar many times along with his wife. He writes in one of his papers that on his first visit to Tikkar Swami Ji called him from distance, ‘Are you Bhat Sahib?’ He reports that he had the good luck to take Swami Ji along to Srinagar Airport in his car when he (Swami Ji) was going to bid final audio to Kashmir. Swami went into eternal Samadhi in Delhi (Malviya Nagar) in the house of Shri Prem Nath Sadhu in January 1966. According to Bhat Sahib Swami Ji was very fond of one Shri Kashi Nath Bhat, Advocate who was his fervent devotee those days. Justice Bhat further reminiscences in his write up that he was given some money by Swami Ji for the construction of a lodge for Sadhus visiting Amarnath Shrine at Ambphalla in Jammu before his last flight from Kashmir. Bhat Sahib fulfilled this wish of Swami Ji honestly and the building came up within a short time but he regrets that the place wasn’t later used as desired by Swami Ji but given on rent to raise income for the institution. Swami Ji spread his message of sustained devotion of the Lord accompanied with fair and truthful dealings in all worldly affairs. He stressed upon his devotees to get somehow detached from the attractions of the world and nurture the true love of God. He told them to be actively involved in just and truthful activities but not be constantly after collecting material wealth. The real wealth, he said, was to seek the extreme love of God and his people. The human life is a great boon and each of us should understand the purpose of this life. It is for us to use it purposefully or misuse it. The sooner we try to realize ourselves the better. It is very simple to get access to the lord. Simply try to purify your inner self by developing pure thoughts and intense devotion of the lord. Realization of the self is the way to the lord. These simple teachings of Swami Ji attracted lots of devotees from diverse hues and many among them submitted themselves eternally in the lotus feet of Swami Ji and were formally initiated into the ascetic order. Swami Ji’s earliest disciple worth the name was Mahatma Vibhishan Ji. He came in the service of Swami Ji in Gowri-Pora Kutiya and after hectic service he was formally initiated into sainthood. His devotion and service is an example in itself. He acquired such extraordinary capabilities that none else among the disciples of Swami Ji equaled him. His humble nature and soft attitude won him great laurels not only in the eyes of his Guru but his numerous devotees too. He talked very less and was always seen absorbed in his SADHNA. He was mostly seen in the service of his Guru though at times he was given the charge of Ashrams at Hushoora or Gowripora independently. He won the devotion and love of lots of people who visited him for the solution of their problems. Vibhishan Ji had surrendered completely before his Guru and didn’t like any separate personal identity. His only mission was to serve his master and pursue his personal enlightenment. Whoever met him once to seek his blessings got permanently fixed with him. After Swami Ji attained the eternal Samadhi Vibhishan Ji continued staying in Swami Ji’s Ashrams representing him and serving the community interests. On mass displacement of Pandits from Kashmir in 1990 he came to Jammu and stayed with some of his devotees for some time and then came to Bohri (Talab Tillu) Ashram got constructed by Swami Ji’s wonder devotee SHALPUT JI in those appalling conditions. Vibhishan Ji stayed there quite absorbed with his Sadhna till late nineties when he sought eternal Samadhi. Next to make mention of is Shri Kralbab Ji. He was the most popular disciple of Swami Ji who by dint of his Sadhna and achievements was able to make his own individual place after Swami Ji. Kralbab was born at Kralgund (Handwara) on Phalgun Purnima In 1928. His parental name was Bhagwan Dass and he was given this name by Swami Ji himself as he loved to call him as such because he belonged to Kralgund. KralbAB was initiated by his master in the Tikkar Ashram and performed his basic Kriya there. His progress in sainthood was very rapid and soon he was recognized as an established saint. He had soon a vast field of devotees not only in the Tikkar area but far off places as well though he remained mostly confined to Tikkar Ashram only. Due to the very cold climate of Kashmir in winters he had considered an Ashram outside valley. And his plans soon matured into an Ashram at Udhampur in Jammu region. There were a good number of his devotees among Pandits in Udhampur and consequently the magnificent Ashram of Garhi (Udhampur) with the name Kralbab Ashram came up beside the national highway. The Ashram proved a great boon for the fleeing Pandits from the valley for its sufficient accommodation and efficient management. Lots of them found shelter there in the most telling circumstances. It is said that Kralbab Ji had quite before indicated to the turmoil in the valley and the bad times for Pandits and wanted the Ashram to be built for this purpose also. Hence it served as a resting place for hundreds of Pandits till they got temporarily settled somewhere else. The other Ashrams in his name were constructed at Venkura and Namtehal in Budgam area of Kashmir besides the recently constructed at Bantalab, Jammu. Shri Kralbab JI achieved Nirvava on Magha Shukla Tritya in 1968 and the day is celebrated with grand celebrations and Hawans in all Ashrams especially Garhi (Udhampur), the Ashram very well maintained by Swami Kumar Ji the beloved disciple of Shri Kralbab Ji. The legacy of Swami Ji is very well carried forward by his Pariwar wherever they are. Mastbabji belonged to Budlada (Punjab) a householder with two kids. He belonged to a farmer family with name Sohan Lal. Right from childhood he was not satisfied with his life and wanted to do something special. The worldly material wealth didn’t attract him till one day he left his home in search of the ultimate reality. He visited many places and persons but couldn’t find his soul’s thirst fulfilled. At last he reached Kashmir and heard about Swami Ji and the Tikkar Ashram. On reaching there Swami Ji welcomed him and told him it was his destination. Immediately he found his soul’s content and dedicated himself to the service of Swami Ji. He was named as Mastram and initiated into sainthood probably there or in Gowripora Ashram as in those days Swami Ji was frequently on move from place to place to spread his message. Mastram Ji proved to be the most dedicated saint to the purpose. He acquired the various stages of sainthood and Yoga in minimum prescribed time and soon became the beloved of Swami Ji. He has adopted all the Sanskars of Kashmir Pandit culture and become fully conversant with Kashmiri Language. His Ashram at Badipora (Budgam) was constructed by his devotees of the area and named MASTBUB ASHRAM. He stayed there on the insistence of his devotees but he always preferred to be nearer to his Guru Maharaj. After the Maha-Samadhi of Swami Ji Mastbab Ji remained on move often outside valley visiting TIRTH-ASTHAPANS unknown even to his beloved devotees. The grand Mastbub Ashram at Patoli Jammu was raised in mid eighties and Mastbub Ji came there when it was on the last stages of construction. In fact Mastbub Ji is an awakened saint quite unconcerned about the material developments. The Mastbub Ashram at Patoli proved a great shelter and support for the displaced Pandits in Jammu after 1990 turmoil. Hundreds of Pandits spent days and nights in the Ashram and found solace and peace in the blessings of Mastbub Ji. The Ashram keeps always humming with activities both in the presence and absence of Mastbub Ji. The mornings and evenings keep very busy with devotees singing Bhajans in the praise of the lord and especially the Gur-Astuti which gives immense solace to everyone every where. Other Mastbub Ashrams constructed in Delhi and Haridwar are also very well established and provided with all essential requirements. The Haridwar Ashram is the real beloved place of Mastbub Ji. He spends most of his time there and many of his devotees go there in his service and stay there for many days. Mastbub Ji is a kind of saint who wants solitude so he prefers mostly being out of Jammu as the heavy rush of devotees there seems to disturb his peace and tranquility. 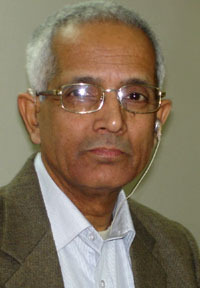 The original name of Sedbub was Shri Vedlal Bhat. He belonged to Hajivera (Pattan) and was a householder. He was a saint of very high order with numerous attained Sidhees. His association with Swami Ji is not well defined but one thing is clear that the name Sedmol was given to him by Swami Ji himself as a tradition maintained by him and consequently he was called Sedbub by his devotees and admirers. Some are of the opinion that Swami Ji had initiated him and he was his Guru but the fact is not very strongly established. Whatever the facts are it can’t be denied that there was some sacred celestial relation between the two great souls. They have been seen together on numerous occasions in almost all Ashrams, tours and on special occasions sharing some moments quite unknown to the onlookers but definitely indicative of some special relationship. During the last moments of worldly existence, in the house of Shri Prem Nath Sadhu at Malviya Nagar, New Delhi, Swami Ji was accompanied by Sedbub and it is said that they kept busy for long hours in some special talks before Swami Ji went into eternal Samadhi. Sedbub, though a householder, was perfectly detached from the worldly affairs. Though seemingly associated with his family responsibilities he was a SanyasI in the real sense of the term. A perfect Sidh Yogi he was a fully awakened soul with clear knowledge of everything that made him stand upright in the realm of sainthood. Sedbud had opted for no Ashram or a place associated with his memory in Kashmir. He left his mortal coil at his native place at Hanjivera (Pattan). His devotees later tried to raise a memorial at the site of his Samadhi but strangely a feud erupted between local Muslims and Pandits and the administration had to put a ban on the construction to avoid confrontation. This was in late eighties as the situation in Kashmir had already turned volatile due to large scale influx of Pakistan trained insurgents into the valley. Now after the displacement of Pandits in 1990 and the bulk of them placed in Jammu the devotees of SedbuB have constructed a magnificent Ashram in his name at Paloura, Jammu where there is a huge rush of devotees daily besides celebrations of grand HAWANS and other events in the name of Sedbab. Shalput Ji was a boy of 5-6 years when he got attracted to Swami Ji in Hushoora Ashram. His parental name is Jai Kishen and he belongs to parents from Hushoora who were regular visitors to Swami Ji there. The name Shalput was given to him by Swami Ji when he frequently insisted on staying in the Ashram and wanted to be close to Swami Ji. Though Swami Ji didn’t initiate Shalput Ji directly to sainthood in his lifetime because of his tender age but Shalput Ji came into the holy fold automatically when the time was ripe for him. It is some celestial connection and a quite unknown guarded secret but the indications definitely relate something worth a mention. It was in late seventies when Shalput Ji was a student of class X that he left his home for a destination for which he had taken birth. A youth of barely 18 with flowing locks of hair, strikingly attractive features, came directly to the house of Shri Jia Lal Dass Of Bomai (Sopore), probably to get inspired by the place and people where Swami Ji had stayed for many long years in his formative years of sainthood. He was welcomed warmly by the whole household for their love and devotion to Swami Ji. Everyone in the Dass Family instantly became alive once more with the reminiscences of Swami Ji and thus started the renovation of the Kutiya at Gowri-Pora. 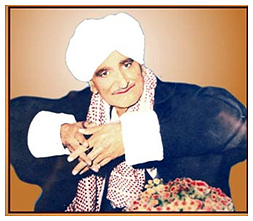 It was soon discovered that Shalput Ji was a past master singer of Bhajans in accompaniment of harmonium. Thus the whole nights in Dass House were spent for not less than two months with Shalput Ji singing Bhajans in accompaniment of the youth of the family and the rest of the members enjoying as if Swami Ji was himself present. This author has personally witnessed that everyone in the DASS family kept awake all these nights enjoying the devotion of the lord and Swami Ji. Shalput Ji was such overwhelmed by the devotion of the family and others around for Swami Ji that he decided to stay in the Kutiya and get inspired by the place where Swami Ji had spent many long years of Sadhna. Soon he settled there and the devotees in large numbers started coming to see this wonder devotee of Swami Ji. What followed were more constructions in the Kutiya and more celebrations and Hawans and especially the daily Bhajan-Madali which was the main attraction. Time passed and SHALPUT JI progressed in sainthood and the number of devotees went on increasing day by day till 1990 when the displacement of Pandits started in consequence of the threat perception of the Muslim fundamentalist elements in the valley. In no time Pandits began moving out bag and baggage and so did Shalput Ji. 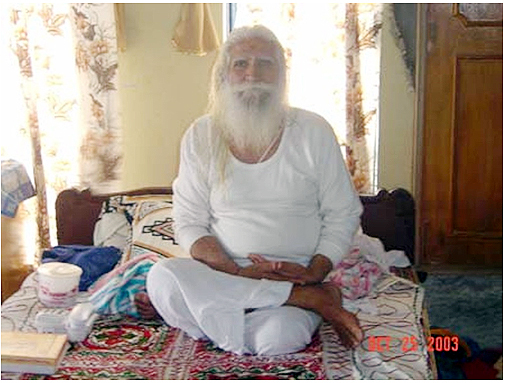 After some stray lodgings he managed for a little piece of land in Aanand Nagar, Bohri (Jammu) donated by a builder and thus came up the Shalput Ashram there. The field of influence of Shalput Ji has increased tremendously all these years and devotees especially Pandits from far and wide continue coming here. Mahatma Vibhishan Ji had been staying here in this Ashram for long time and SHALPUT JI served him with great devotion and treated him as his Guru. It was here that Vibhishan Ji achieved Nirvana and Shalput did all Kriya and service whatever suited this great soul and the beloved disciple of Swami Ji. One more Shalput Ashram has been constructed with the help of local people at Jibb near Garhi (Udhampur) within very beautiful and cool surroundings. Mahatma Vibhishan Ji loved to stay there for the solitude and serene atmosphere and the devotion that he got from the residents especially Pandits. Swami Nandlal Ji was a celibate since childhood and an accomplished Yogi. He had acquired the highest stages of enlightenment through rigorous Sadhana and Yog- Kriya in minimum period of time. His pure conscience and simple teachings won him great laurels and he was soon accepted one among the most awakened souls in the high echelons of sainthood of the time. Though Swami Ji had acquired bare minimum formal education but his thirst of knowledge was so great that from day one he sought ways and means to acquire highest religious scholarship firstly at the feet of some learned teachers and then his Guru. Lots of aspirants later took advantage of his profound knowledge and especially his discourses on the teachings from Bhagavad-Gita, Upanishads and Vedas. He was a great admirer of Lalleshuri, the great Yogini and poet saint of Kashmir. He often quoted Lalla-WAKHS in order to establish his philosophy of simple advancement in life by way of simple detachment from the futile worldly attractions and glamour of riches. He believed in the strict disciplined life based on the Yogic practices and sustained Sadhana. He also believed in the supremacy of a householder’s life model but the aspirant here had a greater responsibility of combining Sanyasa with day to day activities, is what he said. The same is true with everyone. Karma-Yoga shows us the simple way of achieving the highest goals in life. Swami Ji wanted his devotees to follow the normal activities of life based on truth and fair dealings. He time and again stressed upon the great opportunity that we are provided with in our lives to achieve something higher than the ordinary existence. One whose mind is perpetually attached to the memory of the Lord despite being busy in just and truthful worldly vocations is a perfect Yogi. Swami Ji wanted his devotees learn the simple lesson of doing everything in the name of Lord so that nothing wrong is done and each and every life performs better for the uplift of his or her individual self. One should cultivate the feeling that all that exists belongs to God and regard everything as God’s play, renouncing both attachment and desire for fruit. The life of Swami Ji is an open book to be read by all. His devotees were especially inspired by his simple, clean and highly disciplined way of life. 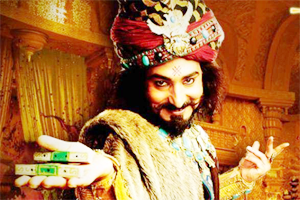 He was always ready to help anybody out of worldly difficulties as well as spiritual hurdles. He involved his devotees occasionally in discourses on the purity of life, Nitya-Karma and Bakhti (sustained devotion of the lord). About Nitya-Karma that we perform every morning and evening, Swami Ji said, it was an exceedingly important activity in our daily routine. It should be performed with due attention and in right earnest. The time devoted to the Nitya-Karma i.e. morning (Gayatri) and evening (Sandya) is the most valuable, most sacred and most useful. Paying less attention to it and going through it hurriedly, he said, was the reason that we’re deprived of its benefits and joy. Swami Ji had no inhibitions in allowing anybody in his fold provided one was ready to maintain certain discipline essential for the higher life. Lots of Muslims too have been benefited by the healing powers of Swami Ji and as such many of them even now remember his magnanimity and the height of his awareness. Bakhti or sustained devotion of God is the surest, shortest and easiest way of self-realization but a Sadhaka should clearly understand the spirit of the Bakhti otherwise a lukewarm approach will lead him nowhere. BAKHTI pertains to the spirit of devotion which is disinterested in character and unobstructed in its course. Human mind gets purified only by the extreme love of the Lord. One whose heart melts completely in His devotion is the true beloved of the Lord. Swami Ji said that the Lord’s wish is absolutely the wish of His celebrated devotees. Those who surrender completely to the will of the Lord win Him over completely. This is essential for our Sadhana that our heart must cooperate. Swami Ji said that one must be able to put one’s whole heart into one’s Sadhana, be it Dyana (meditation), Japa or Pranayama (control of breath). The most important factor in Upasana is love combined with reverence. Love transforms all work into worship and whatever is done with love leaves an indelible impression on our mind. The worship done in desultory manner, in a half-hearted way, will bear no fruit even if done for years together; whereas Upasana done with reverence and love, even once, will yield speedy results and be a source of untold joy and peace. O My Satguru! I Depend Only Upon Your Moral Support Every Moment. In The Darkness Of My Ignorance You Are Always A Beacon Light Like Sun To Show Me Way Out From Darkness To Light. *JAWAHAR LAL BHAT Born at village Peth-Makhama, Magam, (Kashmir) in the year 1946; got M.A. in English Literature from Kashmir University in 1972; worked a long tenure in J&K Government Education Department as an English Lecturer. Had an exclusive taste for teaching English Literature and Language improvement; left Kashmir in January 1990 along with fleeing Pandits and retired from Government Service in 2004; currently settled in Faridabad, Haryana (India). Thanks for this article that is important for its historical significance. We need to create an archieves of the history of saints and savants who struted the domains of Satisar in the immediate past for the use of our posterity.